ARROTTAíS AUTOMAX AND RV AND AUTO will never sell, share, or spam your mobile number. Standard text messaging rates may apply. a) 30 DMBG is a refund of the entire purchase price applied towards the purchase of another vehicle of equal or greater value at Arrottaís Automax & RVís within 30 days of the originally purchased day of the vehicle. e) 30 DMBG does not apply to specific vehicles; example if a Corvette is purchased but the dealer does not have another Corvette of equal or greater value, the customer must be willing to accept a different type, make, model, year or type. 30 DMBG does not and will not apply to any R.V.ís; such as but not limited to: an RV, Travel Trailer, Class A, Class B or Class C.
5. To take advantage of all benefits offered with Arrottaís Automax & RVís, the customer must pay the listed sticker price in order for the dealer to offer these premium services (as listed above). 9. All giveaway prizes must be picked up at our dealership. 10. Prizes can not be redeemed for cash value. 11. 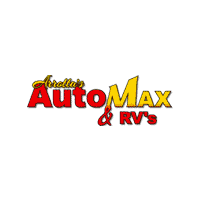 Arrotta’s Automax & RV’s cannot be held responsible for any damage or any other activity resulting from a prize or giveaway. 12. A year’s worth of oil changes consists of no more than 3 oil changes.